Description: Create as many words as you can within the given time. Instructions: The longer and more complicated the words the more points you score. Simply click on the letters in the grid and click submit, or just click again on a letter you have already selected. 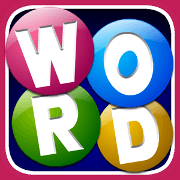 Each word you make earns an extra second of time for each letter, but be careful as you can only use a word one time per game. Earn a score multiplier plus an extra 30 seconds of play by using all the tiles on the board. i have no idea what my score was! Use all the letters in the box to move to the next round.